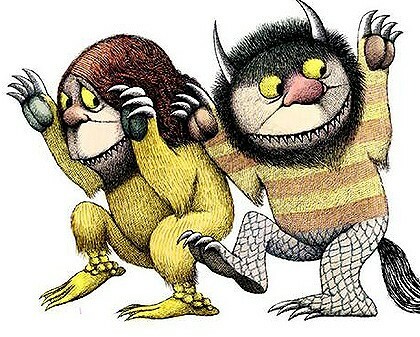 Maurice Sendak was a beloved children’s book author and illustrator whose death two years ago has raised multiple issues to be discussed in this blog post. During his life, he had a close professional affiliation with the Rosenbach Museum and Library in Philadelphia, whereby he lent a vast majority of his books and illustrations for viewing by the general public. He also had a caretaker who managed his personal affairs for decades and was very knowledgeable about his preferences. Mr. Sendak’s Will provided that his caretaker would be one of three executors. It also left some valuable original book manuscripts to the Rosenbach and established a foundation. It was his expressed wish in the Will that the foundation retrieve the works that were on loan to the Rosenbach and display them in the house in which he lived for many decades. The house was to be developed as a study center. We have written another blog post concerning stipulations on bequests that is reminiscent of this situation. After his death, the three executors sought to retrieve the works on loan to the Rosenbach in accordance with Mr. Sendak’s wishes. The Rosenbach objected and commenced litigation against the estate on several grounds to be discussed. The Rosenbach’s attorneys objected to the caretaker serving as executor. Mr. Sendak had the foresight to appoint two other people to serve jointly as executor, although this was not legally necessary. Testators have wide latitude in the appointment of executors. Generally, even an estate beneficiary does not have cause to object to the testator’s designation of executor. Although some executors may have had a “confidential relationship” with the deceased, such as a clergyman or doctor, a confidential relationship does not on its own disqualify an executor. In this instance, the caretaker had a long standing relationship with the deceased, making her a natural choice to serve. Another objection was that she was unsophisticated in business matters and not suited to her position. In having two other individuals serve jointly, Mr. Sendak may have considered that the caretaker was best to dispose of works due to her personal knowledge while the other executors may have been better suited to the business matters to be confronted by the estate. Although these factors do not seem to be present in this case, executors can be disqualified for particular reasons. Executors are fiduciaries who owe a duty to preserve estate assets and not engage in self-dealing. For instance, if the caretaker was found to have taken the artwork for her own use and sale for her own benefit, estate beneficiaries could approach the Court and make a formal legal request for her removal as executor. Further, an accounting procedure could be commenced to require the executor to demonstrate the proper collection and disbursement of estate assets. The Rosenbach could have also argued that the works were gifts rather than loans to their institution and were not subject to being returned to the estate. However, a written agreement provided that the works were on loan and were subject to return upon request. As attorneys , we may have advised that the Rosenbach should have attempted to obtain a written modification of such agreement prior to Mr. Sendak’s death. Otherwise, the results were as expected, the works were on loan and were required to be returned. Notwithstanding the request to return particular works on loan, the Rosenbach was left substantial alternative works and a financial bequest by Mr. Sendak. Our firm is available to assist in the interpretation of bequests made in Wills, the oversight of the distribution of estate assets and evaluation of the propriety of the acts of an executor. We look forward to your inquiries in this area.